10KW PTO Generator. Available in Capacitor or AVR Regulation. 10,000 Watt Continuous Output. 40 Amp Output at 240V. · High quality PTO generator with 10KW continuous output. · Heavy duty single-phase, brushless (capacitor) design for maintenance free performance. · 100% copper winding, low distortion alternator (THM<5%) for high quality power output, insulation class H.
· Lifetime pre-sealed maintenance-free bearings. · Aluminum and steel housing for a maximum in durability and lightweight. · Heavy duty cast iron single stage gearbox. 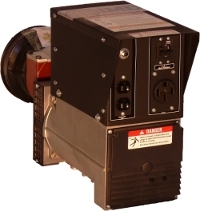 · Magnetic circuit breaker with individual circuit protection for safety and accurate overload protection. 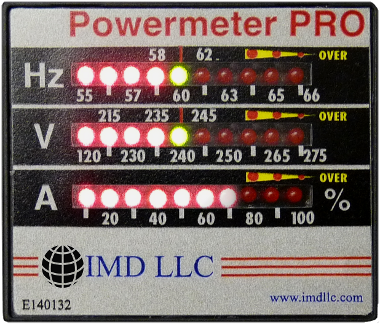 · 4” Three Bar LED meter provides accurate display of Hertz, Volts, and Amps output. · Simultaneous 120V and 240V output. · Standard 1-3/8", 6-spline input shaft.